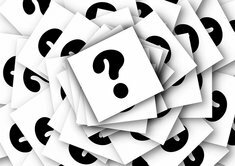 Unfortunately the answer to your question can be a bit of a Unicorn, as there are currently no fun, performance wagons for close to $30k - I recently went on a similar quest. Used Audi A4 Avants or Allroads are a good option in your price range. The Allroad is easier to find since they are still made, and they are just a lifted Avant. Performance is similar to your Legacy GT, maybe a slight tad slower. Reliability is better on the newer Audi's, but they are still an Audi. Mileage might get you high 20's on the highway. Used E91 BMW Wagons can be found and offer good performance, although again probably a little slower than your GT - but the engines sound wonderful and are actually pretty reliable. Can be found in rwd and awd with awd being more common. Cost of ownership on lower mileage examples won't be bad if you have an independant shop. Mileage is only mid 20's highway though. Acura TSX Wagons stopped being made 2 years ago, and aren't that fast with only the NA inline 4 being offered, but they make nice sounds and have more interior space than the BMW/Audi wagons. They will also get 30 or so mpg. Volvo V60 is a good option, with decent speed, especially in T6 form, although the nice shape doesn't lend itself to a very large cargo area. Used might be in your price range. Mileage is supposed to be good. I'm not listing the Outback as it really isn't a fun little wagon anymore, even in V-6 form it has grown into a mid-sized SUV. Going the Hatchback route might be another option and will more easily allow you to hit both your performance and mileage targets. Many larger hatchbacks can easily swallow a bike with wheels off when back seats are folded down. 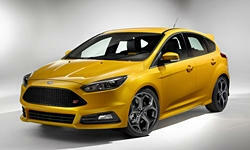 The VW GTI and Focus ST both have similar performance to the Legacy GT with 0-60 in the mid 5 second range. The VW can be easily and cheaply tuned to give much higher performance. 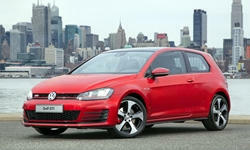 The VW also has more stock power than VW lists, which has been verified. I ended up going with a GTI as I couldn't find a suitable wagon in my price range in the low $20k range. The MK7 GTI actually has a spacious interior and with the back seats down it's cargo space nearly matches the BMW and Audi wagons thanks to the boxy shape. Focus is nice but I went VW because it was much more refined looking and feeling. You could also go with a Golf R to add AWD. Dnslate pretty much covered it. Would be nice to have a Legacy GT wagon-equivalent offered by at least one manufacturer. Until then, the above are the best substitutes. Only one minor correction: at this point E91 wagons are over three years old, as 2012 was the final model year. 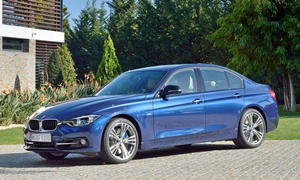 It's possible to buy a 2014 F31 for under $30,000, though, and these will be quicker than the LGT. When I reviewed the V60 I compared it to the F31 wagon. Great styling and comfortable seats, but it doesn't handle as well as the BMW. It also has a smaller cargo area. The TSX can't match the above for performance but is less of a reliability risk. The Golf SW has the largest cargo area, but the least power. We just went through this exercise and ended up with a VW Alltrack. Both the BMW 330i sportwagon and the Audi Allroad were in our sights. I particularly liked the new Allroad for its combination of performance, interior, AWD (although Haldex based) and my wife liked the 330i for its somewhat sportier and more buttoned down feel. But we ended up with the VW. It was literally tens of thousands of dollars less, and yields little in terms of real world handling and nothin g in terms of practicality. Though it has less power on paper, in actual driving conditions it has all the power that we need, feels strong day to day and doesn't feel like it wants for much. I also thought it (Alltrack but also the Audi) was a bit less coarse than the BMW when you spool it up, though the BMW has more sense of urge. None of them feel like monsters but the VW has noticably less go, more noticable above 80 MPH or so. An APR tune might level the field considerably for just a few hundred bucks. It did wonders to my GTI. While not as sumptuously fitted as either of the other Germans, the actual quality of the interior (fit and finish) was up to their standards and ours and the materials are good quality and well suited to their purpose. The SEL version we bought has all the convenience features we need including nav, an upgraded sound system, dual zone climate control, rear view camera (optional at great expense on the BMW! ), rain sensing wipers, partial power seats (lumbar is manual), nice moonroof, Apple Car Play etc. All the things you have to pay considerably extra for on the BMW and come at greater overall expense on the Audi as well, although it's better equipped with gadgets than the BMW and for a bit less cash as well. We just got the car so long term reliability will have to be saved for a future report but our other late model VW (my GTI) has done very well so I have confidence this car will go the distance as it's on a high quality, proven platform. You might be pleasantly surprised if you give it a try. If you need more power, there are tuners offering substantial gains for not too much money as you are likely well aware. 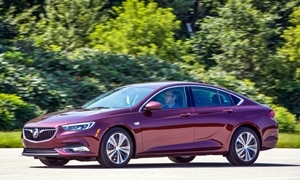 I wish VW offered blind spot monitoring on this car as they do on the lesser priced AWD Sportwagon, but that's about the only missing feature we wanted. It's a slick and refined package we felt was the bargain of the bunch. 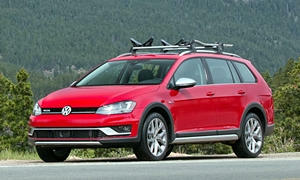 I agree with the prior poster that a GTI wagon would have been just the thing, but the Alltrack is fun to drive and a compelling offering if you prefer the dynamics of a wagon to a crossover as you should. If you can justify the (significant) added expense, the BMW and the Audi Allroad certainly have more power and offer more luxury, but in my opinion neither quite justify the big premium in price for what is in the end supposed to be a sensible shoes vehicle, especially the BMW which gets very near $60K out the door by the time you get it fully optioned. I'll add that we drove both an Outback and a Legacy and felt neither of them measured up to the VW in respect to driving dynamics. The Outback especially felt truckish by comparison. Happy with it so far and I'm an enthusiast and the wife is hard to please, both of us having owned many BMWs. +1 for whatever is written above. I love to drive a car. I had a similar set of features in my mind in 2014 and wished we had the alltrack at that time. In the end, went with the CX-5 but a GTI Wagon, MAzda Speed3 Wagon, Mazda 3 Wagon, Golf wagon, ... could have been the car for me. 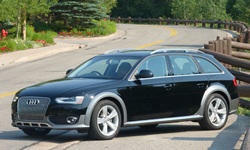 I also looked into BMW 3 wagon, Merc E wagon, A4 Avant (pre-owned), and AllRoad. All of these were significantly more expensive. 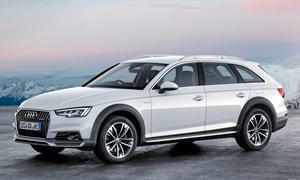 A minor correction to Member3671's excellent post: the AWD system in the Audi allroad is not Haldex-based. It uses a Torsen center differential. The A3/S3, Q3, and TT (with transverse powertrains) are the only North American Audis with the Haldex system. Subaru doesn't offer turbocharged sedan or wagons like everyone else these days, including Toyota. Enter the 2018 Regal TourX Wagon for $29,000. It offers 2.0T with AWD that includes Twin Clutch system that sends power to as little as one wheel with traction, something 4 Motion does not. Also has torque vectoring that instead of brakes the inside wheel around a turn but sends more power to the outside wheel during a turn. 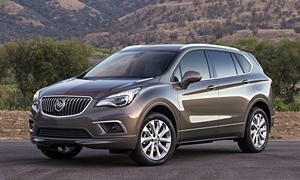 Same system that is on the Buick Envision.